There are four types of bankruptcy – Chapters 7, 11, 12, and 13. If you are looking to reduce your personal debt after exhausting all other options, you likely will be filing either Chapter 7 or 13. Yet, reviewing what's involved in all the bankruptcy chapters will be helpful as you determine your best option for filing. If you are working with a bankruptcy attorney, and it is generally a good idea to hire a lawyer to file bankruptcy, he or she will recommend the best avenue to pursue. Chapter 7 bankruptcy has to do with liquidation. In this bankruptcy, you sell most of your assets in order to pay off debt. If you have a job or regular income, you may prefer to file Chapter 13, which allows for repayment. A Chapter 7 bankruptcy forgives your debts. Once all of your non-exempt assets have been sold and the creditors paid, your debt is wiped clean. This gives you a fresh start. A trustee will collect and sell your non-exempt assets. Your creditors then receive the net proceeds from the sale. Non-exempt assets include your car, furniture or your house. In order to keep these items, you must sign a reaffirmation agreement. This voluntary agreement states that you know you still owe this debt and you agree to pay it. Additionally, you agree that you will not file for bankruptcy against this particular debt for another six years. 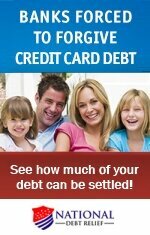 You will still have to pay the debt and will have to make payments like you did before you filed for bankruptcy. You will also have to bring the loans current and pay any past due amounts. You may be selective about what you exempt. For example, you may want to keep your house but not your car. You can sign a reaffirmation agreement for the house and allow the trustee to take your car and sell it to pay your creditors. It is up to you. Some debts cannot be erased or forgiven in a Chapter 7 bankruptcy. Alimony, child support, fraudulent debts, certain taxes, student loans, and some other items must still be paid. Most people who file Chapter 7 have credit card debt and unsecured loans. People who file under Chapter 7 typically do not have many assets. Usually, this type of bankruptcy works to eliminate most of the debt. Chapter 11 bankruptcy is known as the reorganization bankruptcy. It is usually used by partnerships or businesses, but individuals may also find relief by filing under this chapter. Businesses file for Chapter 11 when they are unable to pay their creditors. Unlike Chapter 7, which is a liquidation that would end the business, a business can continue to operate under Chapter 11. Usually if you file Chapter 11, you maintain control of your business and assets. This is called a "debtor in possession" and your actions would be subject to the bankruptcy court that oversees your case. This chapter allows you to restructure your business. You can refinance loans, for example, and sign contracts, but the court will approve your actions. Once you have filed, you will be protected from your creditors (an action called an automatic stay). If the debts of your business exceed the business assets, the bankruptcy restructuring may mean that you are left with nothing. Your interest in your business may be revoked by the court and the company could be handed over to your creditors. Chapter 11 is one of the most complicated types of bankruptcy. Before you consider this type of filing, it is prudent to have a lawyer. This bankruptcy chapter can be used only by family farmers or family fishermen. If you are a farmer or fisherman, you must have a regular annual income as a result of those activities. That income may be seasonal (such as the owner of an orchard) but it must be regular and dependable. Chapter 12 allows farmers and fishermen to repay all or part of their debts under a repayment plan that usually takes place over three to five years. This chapter is less complicated than other types of bankruptcy, and is less expensive than Chapter 11. However, Chapter 12 is set up specifically for farmers and fishermen and so only a few people benefit from it. Most people file bankruptcy under Chapter 13. This is known as a "wage earner's plan" because people with a job can repay their debts. Under Chapter13, you keep your property, including your house, car, and jewelry. You pay back your debts within three to five years. You propose a repayment plan when you file. Your repayment plan must be submitted in good faith; your unsecured creditors must receive at least as much as they would if you filed under Chapter 7. 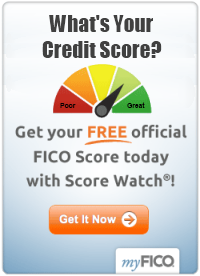 Be aware that all of your disposable income will go toward paying off your creditors. Once you have filed, your creditors may not continue trying to collect the amounts owed. Chapter 13 is a good option to look at when examining types of bankruptcy because it allows you to keep your property. This is the bankruptcy you would file to keep the bank from foreclosing on your home, for example. However, you would still have to make mortgage payments. Chapter 13 acts like a consolidation loan: you will make one payment to the court, which will then pay off your creditors.